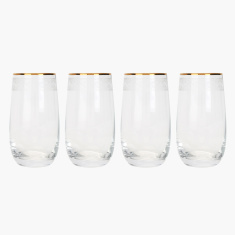 Your guests will be impressed when you serve them in this attractive tumbler set. 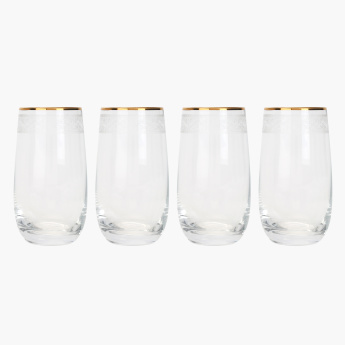 Displaying an unusual shape, these tumblers have a gold rim that adds to their overall looks. 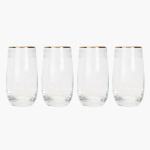 This set is dishwasher and food safe too.